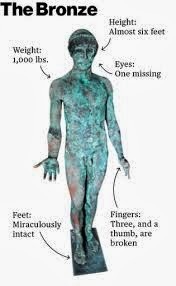 Rare bronze statue of Apollo, dated between 5th and 1st Century BC, found in Gaza. 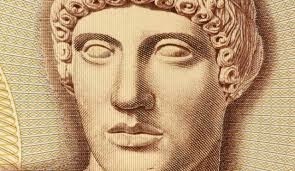 A rare, lost for centuries, statue of the Greek god Apollo has been mysteriously found in the Gaza Strip. The police in Palestine however confiscated the statue immediately after it appeared and now noone is aware of its whereabouts. 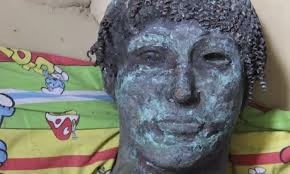 Archaeologists are eagerly waiting for the police authorities to inform them when they will be able to take a closer look at the bronze statue of Apollo, which is the size of a man, but have received no answer so far. The green-brown statue shows the body of a young and athletic god, standing up, with one arm outstretched and his hand held up. A fisherman, a resident of the Gaza Strip, informed the local authorities that he had found the statue, which weighs half a ton, in the sea, about 100 metres away from the coast, last August. He had taken it home on a donkey cart, unaware of the significance of the find. Some of the people around him had however guessed that it was valuable. Significantly, for some time, the statue had been offered for sale on the international e-commerce platform eBay for $500,000, well below its true value. Then, the police in Hamas, which control Gaza, seized it and stated that they were investigating the case. 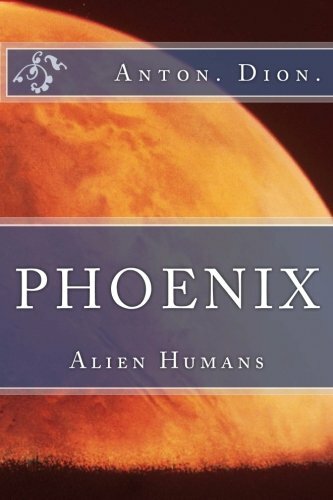 Archaeologists complain that they have no access to the find to examine it closely. According to them, the statue was created between the 5th and the 1st century BC. "The statue of Apollo is unique. In some ways I would say it is priceless. It’s like people asking about the value of Mona Lisa in the Louvre museum. It’s very, very rare to find a statue which is not in marble or in stone, but in metal," states Jean-Michelle de Tarragona, a historian at the French Biblical and Archaeological School of Jerusalem. 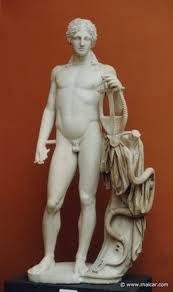 The statue of Apollo was found in excellent condition. "This was not found on the seashore or in the sea...it is very clean. No, it was found inland," Tarragona is firm, arguing that the place where it was found is not announced in order to avoid claims of ownership of it. Palestinian fisherman Joudat Ghrab, aged 26, however, told a different tale. He said he had seen a human figure lying in shallow waters, at a distance of about 100 metres away from the coast, north of the border between Egypt and Gaza. 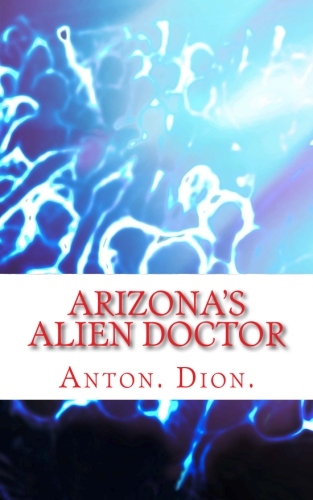 He thought at first that it was a body but when he dived to take a closer look, he realized that it was a statue. It took him and his relatives four hours to take it out of the sea. He admitted that he had cut off one of the fingers of the statue to show it to a specialist, thinking it was made ​​of gold. 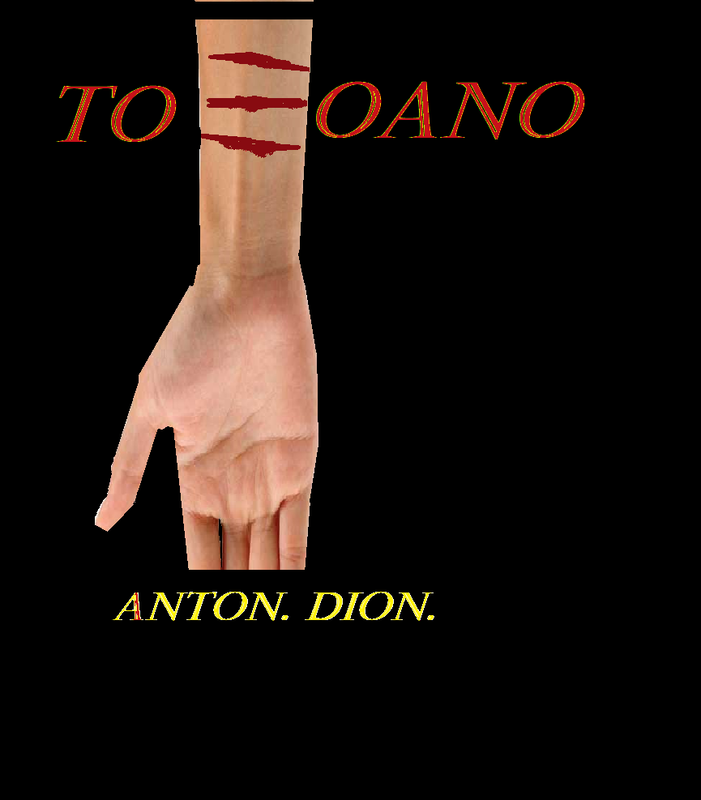 Without his knowledge, one of his brothers had cut another finger for the same purpose. This part of the statue is irretrievably lost, as the jeweller to whom it was shown had melted it down. Relatives of the fisherman, members of Hamas militia, had taken the statue, offering it for sale on eBay for some time. It is unclear whether there were any potential buyers at that time. A little later, the police confiscated the statue and they are still keeping it. 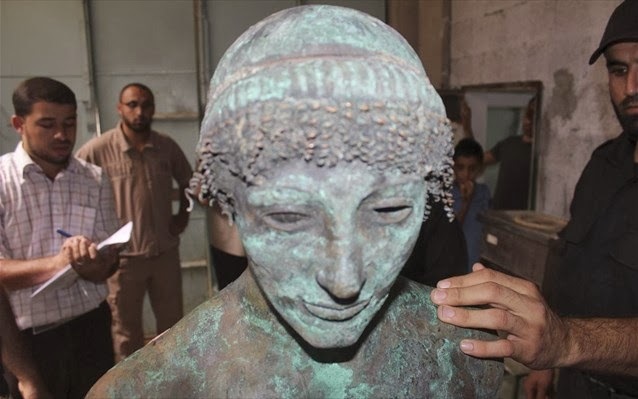 Representatives of the Ministry of Tourism in Gaza state for local media that the statue will not be shown to the public before the investigation is completed and the persons who wanted to sell it detected. "We are in contact with international museums that have expressed interest in helping us with the repair process," states Ahmed al Bursh, head of the Department of Archaeology of the Ministry. According to him, a museum in Geneva as well as the Louvre has sent requests to rent the statue and present it to their visitors. According to Bursh, the Palestinian authorities intend to repair the statue and show it in Gaza. The statue that was found in the Gaza Strip is part of the Greek Heritage and should return to the embrace of the Greek People. 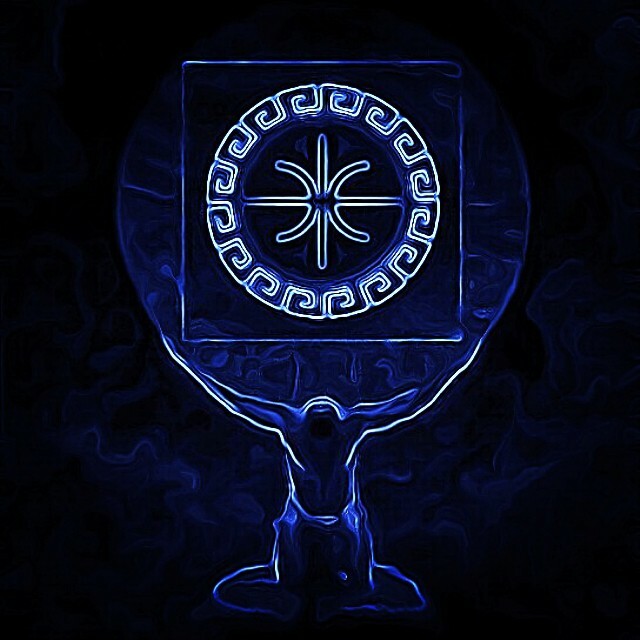 If the Greek State can't do that because of its current very poor financial situation, maybe some noblemen Greeks who have the education, culture and financial standing, should be activated to return this rare piece of Ancient Greek Art to Greece.